Are you in need of more efficient warehouse and fulfillment solutions for your business? Consider these five services to keep your business running smoothly this year. Running a business and keeping your warehouse operating smoothly is not always easy. Sometimes, you may need a little help from a team of professionals to get your orders and inventory back into shape so that you can continue building your brand and selling your product with organized and efficient processes. Are you in need of more efficient warehouse and fulfillment solutions for your business? Consider these five services to keep your business running smoothly this year. In addition to our fulfillment services, we also provide pick and pack services to keep your orders and inventory organized throughout the process. With this, we gather each component of every order as we receive them, then package them with care and ensure that they are labeled correctly and ready to be shipped. Our professionals will work with you in order to build an effective e-commerce solution for your business with either pick and pack or kitting solutions that work best for your business. For businesses who may not have an e-commerce store set up, our professionals will assist you with customizing your online store, as well as setting up a well-maintained inventory. This solution will allow your store to become accessible and open for business at all times, effectively promoting your brand and increasing your revenue around the clock. Another efficient fulfillment solution for your business may be kitting, in which you are able to effectively distribute pre-assembled packs of items such as promotional materials, samples, catalogs, and media kits. In pre-assembling the materials of your pack, you will be saving time and money in the long term. If you are unsure about kitting being the right solution for you, the professionals at FORMost can assist you in determining which solution is best for your business. Our professionals help to develop the perfect solution for your business so that your orders and processes can stay on track with little to no disruptions throughout the year. 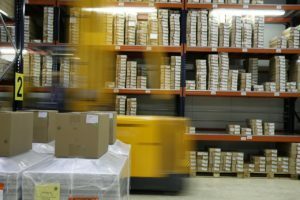 Managing a warehouse can make it difficult to stay organized when you are busy. Are you struggling to handle fulfillment duties all on your own? For businesses struggling to meet growing demands, a great fulfillment partner like FORMost can be the perfect solution. Our excellent customer service, in addition to our efficient technology and competitive shipping rates, enables us to serve the fulfillment needs of your business and maintain an excellent reputation in your industry. Don’t let slow shipping hurt the reputation of your company! Let our team of professionals help to navigate you through the process of providing exceptional service and fulfillment through FORMost. Let our customizable inventory management tools help you meet the needs of your warehouse. In working with FORMost, you will have the option of utilizing inventory management solutions such as logistics coordination, sales reports, and package tracking. We also provide various notifications and report options to keep you up to date with your inventory at all times. For products ordered through FORMost, you will also have the option of allowing us to place the order on your behalf. This entry was posted on Friday, July 20th, 2018 at 9:52 am. Both comments and pings are currently closed.